*AMAZON LIGHTNING DEALS! 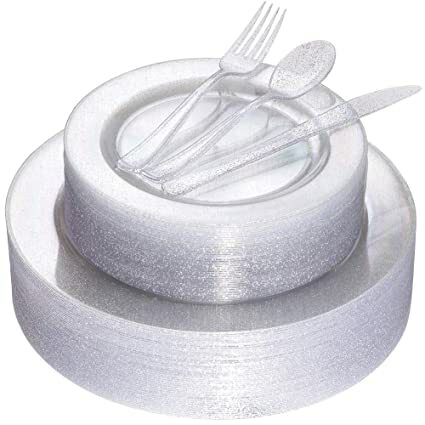 * Disposable Plastic Plate Sets (PESACH)! **AMAZON LIGHTNING DEALS** Each deal is valid until 9:30pm EST or until 100% claimed! LIMIT 1 PER PRODUCT! 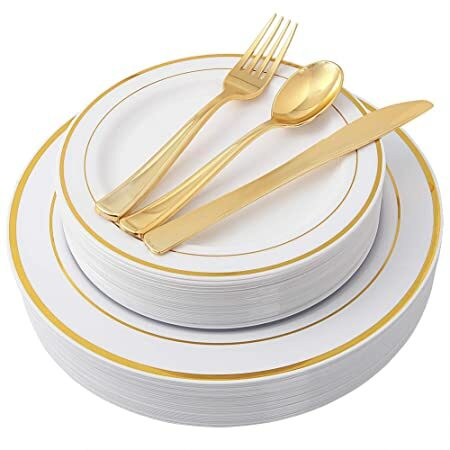 100 Piece Gold Plastic Plates with Gold Silverware, Premium Plastic Dinnerware Set Includes : 20 Dinner Plates, 20 Dessert Plates, 20 Forks, 20 Knives and 20 Spoons (gold dinnerware set) just $16.24 after $5 coupon on the product page! 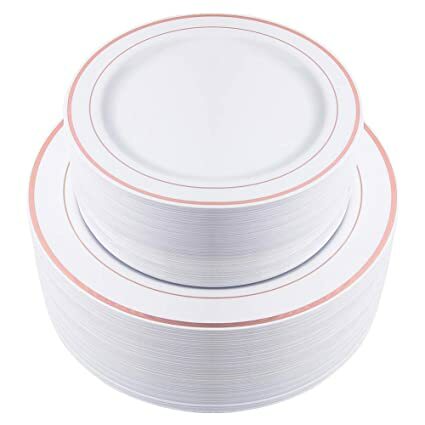 102 Pieces Rose Gold Plates, Plastic Party Plates, Premium Heavyweight Disposable Wedding Plates Includes: 51 Dinner Plates 10.25 Inch and 51 Salad/Dessert Plates 7.5 Inch just $26.42 after $5 coupon! 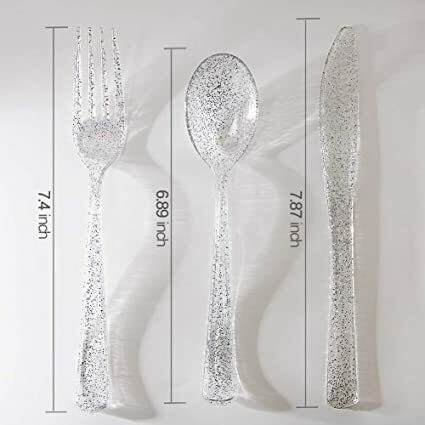 180pcs Silver Glitter Plates with Disposable Plastic Silverware Service for 36 Guest, Includes 36 Dinner Plates 10.25″, 36 Dessert Plates 7.5″, 36 Forks, 36 Knives, 36 Spoons just $23.89 after 5% coupon! 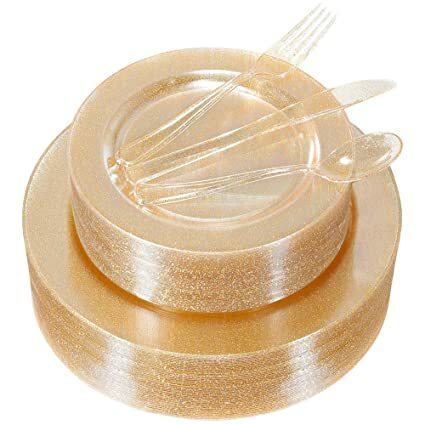 180pcs Gold Plastic Plates with Gold Glitter Silverware, Disposable Dinnerware Set Includes: 36 Dinner Plates 10.25″, 36 Dessert Plates 7.5″, 36 Forks, 36 Knives, 36 Spoons just $23.89 after 5% coupon! 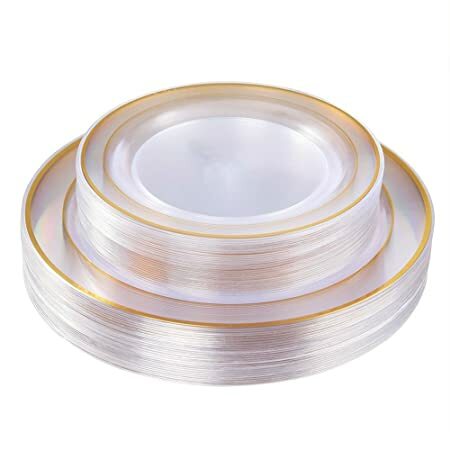 Gold Plastic Plates 60 Pieces, Disposable Wedding Plates, Crystal Plastic Party Plates Includes: 30 Dinner Plates 10.25 Inch and 30 Salad/Dessert Plates 7.5 Inch just $19.99 after 5% coupon!